FPYC Football practices at Draper Drive Park. This facility is one of the very best in Fairfax City and the County. Having two (2) side by side synthetic turf fields with bleachers and lights, our teams have ample space to practice each phase of the game. 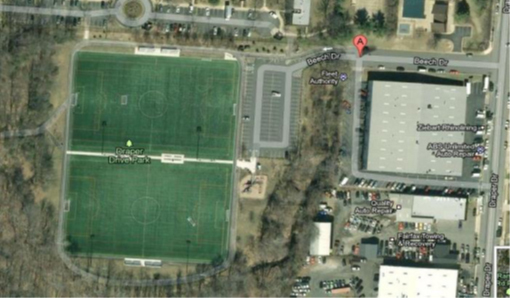 Parents enjoy the dedicated parking, convenient location and great sideline views while watching practice. Rain doesn’t keep us from getting better. Parents don’t have to worry about mud in cars or the house. Younger siblings of football players enjoy the playground area while practice is going on. 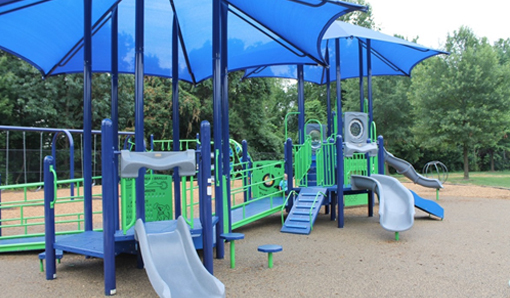 The playground area is set up on part mulch and part rubber surfaces and includes swings and the main play structures even have shade canopies for the equipment. There are several spinning pieces of equipment, climbing walls, slides and monkey bars, which makes this playground complete. There are numerous park benches and two porta-potties adjacent to the playground and fields. Additionally, there is a paved run/walk/bike trail that encircles the park. Take Route 50 West from 495 toward Fairfax City. Turn right onto Draper Drive. Travel one block to left onto Beech Drive. Fields are straight ahead.